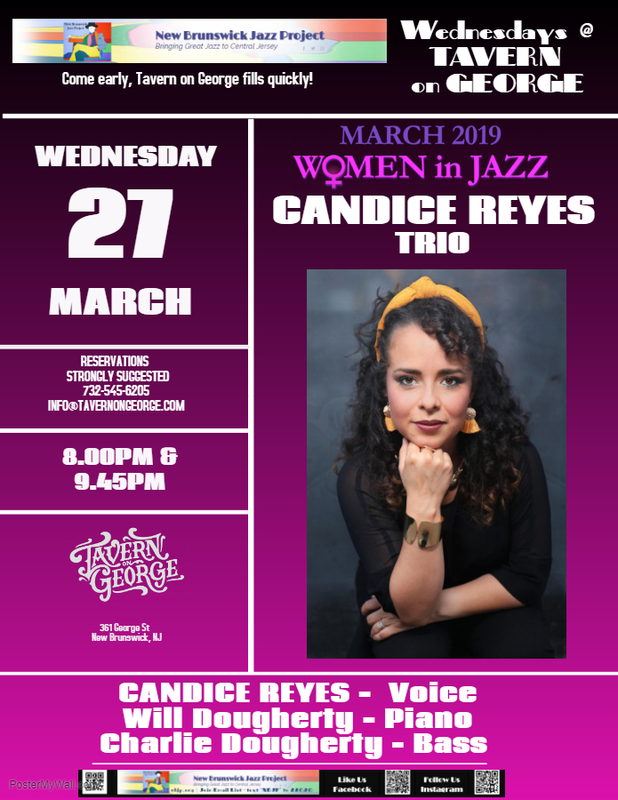 Candice Reyes a native El Paso Texas who currently resides in New Jersey has gained a reputation for being an active Latina jazz vocalist. Her innovative spirit has emulated over the course of her career starting with her first solo album with Shade Records’ Crossing Over released in 2014. Reyes, brings a youthful and refreshing sound to jazz. The vocalist performs actively in the tri-state area with the CRQ and will be releasing her newest album "Your Way" featuring six-time Grammy award winner and jazz renowned bassist Christian McBride. 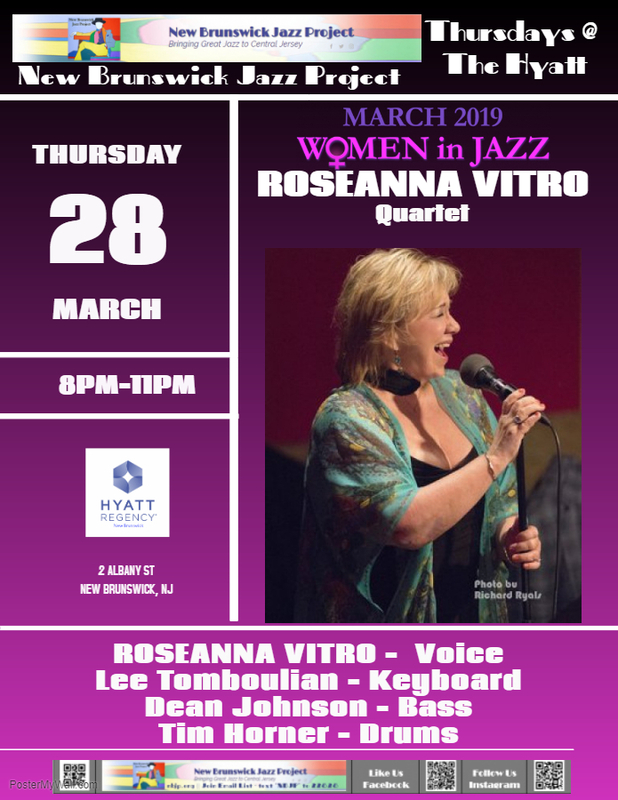 Roseanna Vitro is a jazz singer and teacher from Arkansas. Vitro was exposed to jazz and it became her genre of choice after moving to Houston, Texas in the 1970s. Ray Sullenger discovered Vitro and presented her to the Houston jazz community where she sang frequently with tenor Arnett Cobb. Vitro worked for two years in Houston's Green Room with her group "Roseanna with Strings and Things" hosting a radio show on KUHF-FM. Many jazz musicians stopped in and played with Strings and Things, such as Cobb, Oscar Peterson, Bill Evans, Tommy Flanagan and Keter Betts. Cobb. The Grammy-nominated vocalist has collaborated with musicians such as Kenny Barron, Christian McBride, Elvin Jones, Gary Bartz, Kevin Mahogany and David "Fathead" Newman, all of whom have appeared on her recordings. Her last CD, Tell Me the Truth, was released last year to rave reviews. 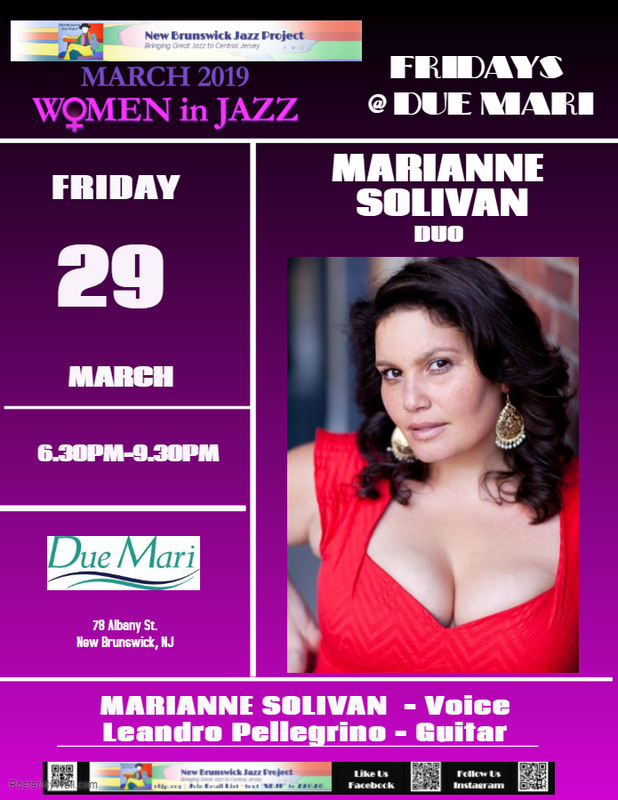 Solivan has made a name for herself as a hard swinging, passionate, vocalist who has a commanding stage presence and is able to captivate audiences with her joyous exuberance and whit. Her dedication to learning this music led her to study with a varied group of musician -educators who taught the traditional as well as modern approaches to the music. These tools have shaped a vocalist with deep roots in the vocal tradition yet without any of the "retro" feel. Solivan's singing is a mixture of honest storytelling with a modern sense of self and determination.